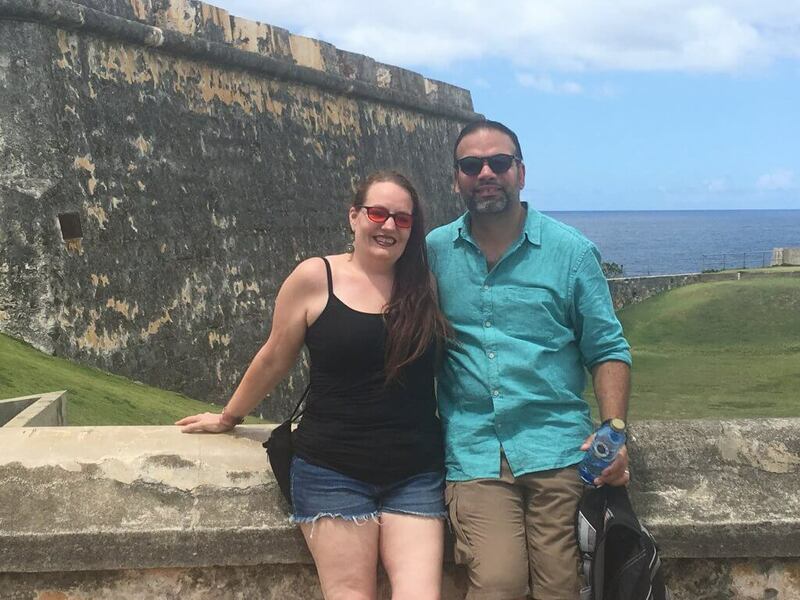 On our three-day getaway to Puerto Rico, my wife and I searched for a place to have a romantic dinner in San Juan to celebrate our anniversary. We found the perfect place. Marmalade Restaurant and Wine Bar was less of a dinner and more of an incredible food tour event. We never experienced anything like this before. unique menu which blends vegetables, alkalinity and lighter cooking methods with organic and sustainable foods. We went in early to speak to the hostess and inquire about their ability to cater to Celiacs and could provide a safe gluten-free meal for my wife. This conversation took about 30 minutes as she explained to us how they knew of the complexities, assuring us how they minimized the risk of cross-contamination and how almost their entire menu consisted of whole foods which were GF. We made our reservation and left feeling confident about our dinner plans. Now when we got there, we were blown away. The interior of the restaurant was simply amazing. High interior arches with tasteful drapery running to the floor, lighted panels on the far wall and eclectic chairs all lent themselves to the ambiance of the room. Candles and soft music added the finishing touches. I should mention that the dress code here, mostly, had people a little more dressed up than your average run of the mill place. I loved it! My wife adored the rose petals and pillows! Having informed them earlier it was our anniversary, they put us at a curved table in front of a divan sofa laden with pillows! (Which is ironic considering my wife calls herself the Princess of Pillows!) The perfect part about this table was that we both ended up on the same side of the table, which enabled us to speak to each other without raising our voices and added that perfect touch of intimacy for our special night. And lest I forget to mention it, the top of the table was strewn in rose petals! We decided earlier that we would go all out and order the five-course food tasting and my wife would also partake in the wine pairing. Each dish was fantastic. The wine pairings for each course were perfect. Now we’re not Foodies or wine aficionados or anything like that, however during our marriage we’ve dined in so many places I feel I can speak with some authority here. And did I mention my wife is an incredible cook herself? Or her ability to discern individual ingredients in most any dish and replicate it later at home? Like I said, we know good food when we taste it! The waiter kept a running commentary on each dish and wine pairing. He had all info readily available and at his disposal and recommended dishes from each section of the menu. Our server knew what contained gluten and what was safe. He knew all about the wine pairings and described how it paired with the dishes individually. I would go dizzy trying to remember all that! Each server understood my wife’s dietary needs and unerringly brought the food to her separately. It was like watching a coordinated, choreographed dance, how each server knew their part to play. The wait staff were friendly and knowledgeable. Eating at Marmalade was one of the most pleasant dining experiences I’ve ever had. The servings were a moderate size, as you can imagine five courses would fill you up and with each dish being made from whole foods, they were immensely satisfying. I have rarely had the experience where I was sad to leave a restaurant after dinner was over but this was the saddest I’ve ever been to leave a place! So glad I took the waiter's recommendation! Don’t miss their signature dish, the Tiny White Bean Soup. The Salted Caramel Corn Cream Brulee to die for. We also loved the Rum Barrel Smoked Pork Cheeks, Popcorn Shrimp, and the Pasture Raised Hormone Free Beef Tenderloin.